Schematic diagram of a compression refrigeration cycle. Compressor, evaporator, condenser and pumps are the mechanical equipment used to complete this heat transfer process. A cooling media absorbs the heat from the building or a room, and transfers this heat to the refrigerant in the evaporator. The refrigerant in turn transfers the heat to the secondary media in a condenser. Heat from the secondary media is dissipated to the external environment either directly or through cooling towers. Comfort systems contribute to nearly 40 percent of the energy used by commercial buildings in India. Many types of comfort systems are available in market ranging from low energy comfort systems to conventional systems. 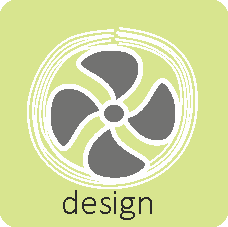 Design of a building, climatic zone, and operational parameters governs the energy requirement for the comfort system. Reducing heating/ cooling loads through passive design strategies and enhancing the efficiency of HVAC systems are steps that are imperative for any building energy efficiency policy. Apart from selecting energy efficient equipment, It is important to select the correct system type, size, and design for optimized energy efficiency. Type of system we select impact the final architectural layout, ceiling and floor to floor height, passive design strategies, ventilation, use of economizers and heat recovery, control and BMS, capital and operational cost, and maintenance requirement. A detailed understanding of the system impact on the selected building could help in optimizing the design, cost, and energy efficiency.